Are you currently dealing with a dog flea infestation and you are desperately looking for natural flea repellent treatments that you could use with your dog? If so, we have all the info that you need on the subject. 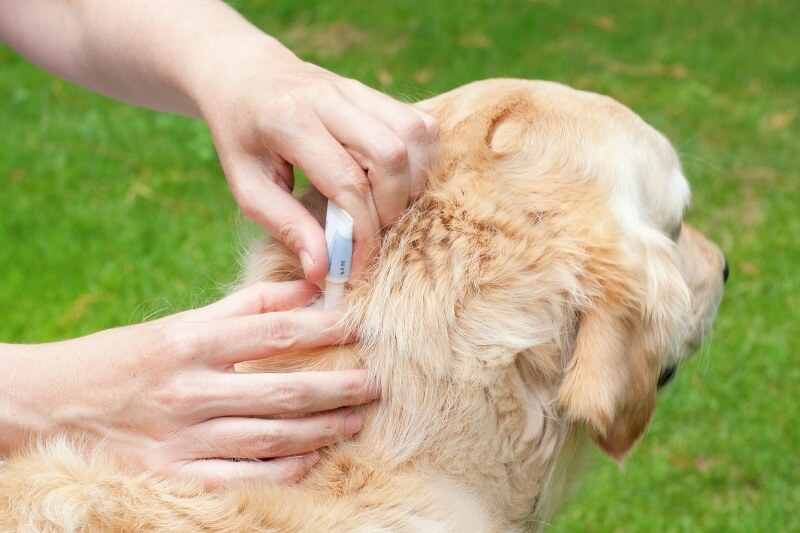 Whenever confronted with dog flea infestation symptoms many dog owners jump to using specialized products that have been developed to fight these “invaders“. Although these treatments are, in fact, efficient, they do contain a series of chemical substances that some pet owners might want to avoid. 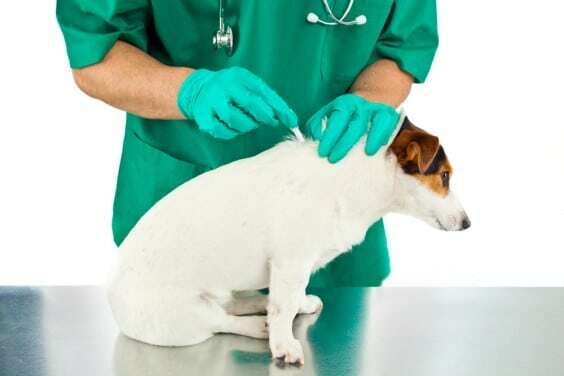 If you are one of the owners that fall into the second category, you should be aware of the fact that there are a handful of natural treatments that you can use against fleas. For instance, you could make use of a flea comb. Not only efficient but also liked by the pet, a flea comb can actually catch the parasites and their eggs. In order to get rid of the fleas, it is recommended that you have a bowl of soapy water nearby so that you can kill the insects. In addition to this, you could use dog flea wipes, especially if you own a puppy. Another thing that you can do is to add a teaspoon of apple cider vinegar to a liter of water and to give the substance to your dog to drink it during the day. Because the vinegar is an acid, the pet’s skin will become slightly acidic, a reason why the fleas will be repelled. What is more, it seems like this substance has a similar effect on ticks. Likewise, another popular trick is to combine the shampoo that you usually use to wash the dog with lemon juice. In order for this to work, it is advisable that you use a cup of shampoo and a half of cup of fresh juice. By washing your pet with this combination, you can rest assured knowing that it won’t catch any new unwanted friends. However, it is important that you know that you should not use any type of acidic substance on your pet if the animal suffers from any kind of skin condition or if it has an irritation. If this is the case with your dog, we suggest that you go online and compare dog flea treatments and pick the one that is suited for pets with sensitive skin. Boric acid powder is another natural substance that you could use. Usually, Borax is used to get rid of the parasites that reside on the pet’s bedding and in other places of the home. When using it, it is recommendable that you do not dust in areas that are in direct sunlight. Also, make sure that the dog does not ingest the substance, as it might be harmful to it. After a few days have passed since powdering the bedding with boric acid, please vacuum thoroughly and dispose of the resulted debris. Also, in case you notice that your dog is unwell, take it to the vet and let the doctor know that you have recently used boric acid.